CashiPhone is engaged in the online business of buying new, used, and broken devices (iPhones, iPads, etc.) from site users. Such business is done when we offer the user a specified monetary value based on the condition of the device. At any given time, we reserve the right to modify our offers to correspond with external factors that may influence a change in the value of the device. THE USE OF THIS SITE IS GOVERNED BY THE POLICIES, TERMS AND CONDITIONS SET FORTH BELOW IN THIS USER AGREEMENT (\'AGREEMENT\'). PLEASE READ THIS AGREEMENT CAREFULLY. YOUR REGISTRATION, YOUR USE OF THIS SITE AND YOUR PLACEMENT OF A TRADE AND/OR AN ORDER INDICATES YOUR ACCEPTANCE OF THESE POLICIES, TERMS AND CONDITIONS. WE MAY AMEND THIS AGREEMENT AT ANY TIME BY POSTING THE AMENDED TERMS ON OUR SITE. EXCEPT AS STATED BELOW, THE AMENDED TERMS WILL AUTOMATICALLY BE EFFECTIVE IMMEDIATELY AFTER THEY ARE POSTED. Selling your iPhone at CashiPhone.com requires 3 simple and easy steps. The first step requires you to place the order by filling out our form. This includes the kind of iPhone and condition it is in. After doing so, our system will calculate the highest monetary value offer that CashiPhone is willing to pay for it. We then ask of you to provide us with the necessary and correct information including your name, address, email/phone, serial number, and other information relevant in completing the sale. We reserve the right to void the sale if we feel false information has been provided. New: Is 100% functional and physically has very minor wear and tear. Minor wear would be define as very few scratches or wear, no dents or cracks. Device must be in original form, no parts repaired/replaced. Used: Is 100% functional and physically may have regular wear and tear. Regular wear implies typical scratches and wear found on all used devices but no cracks or dents. Device must be in original form, no parts repaired/replaced. Broken This is for devices with any cosmetic, software, or hardware issues. Examples Include: Cracks anywhere (Screen, Glass, or Back), Water Damaged, Home button intermittently works, Lock button barely pressable, etc. However, overall device is still in tact, powers up, and no parts have been dissected or removed. Dead This covers the remaining occasions such as a device that has had water damage, devices that do not power up, bent devices. Demolished: Devices that have been dissected or previously opened, missing parts, is completely destroyed, useless for the most part, may or may not have a working part. All CDMA devices (such as those whose carrier is Verizon or Sprint) are assumed to be in good standing with their current carrier (clean ESN). Any device received with a BAD ESN will not be accepted and the customer will be notified with an option to either clean the ESN so it becomes in good standing or the option to mail back the device with a $30 processing fee. All the device data is automatically wiped out from the device when received. However, if the device prompts for a pass code when it's turned on, the customer will be notified and will be asked to provide us with the code because we can't access or inspect any of the device's features without it. Failure to provide us with the pass code will result in the device being categorized as Broken. Shipping your iPhone is the 2nd step in the order process. Upon placing your order that is, filling out needed information, we then email you a prepaid shipping label within 24 hours of your order request. You are required to ship out the package within 5 days of receiving your label. If the time exceeds 5 days, we reserve the right to cancel or pursue in the transaction at our own discretion. Any iPhones that we receive will not be returned under any condition unless it results from inspection failure with return shipping at your expense. Upon receiving your Device(s) (iPhone, iPad, etc.) and passing our inspection process, we will send you your payment within 4 days if it be certified check and instantly if it be PayPal. When CashiPhone receives your device shipment, we notify you via email or you may check through the track order link. The device, then goes through a thorough inspection to verify that the condition is as stated by the customer. 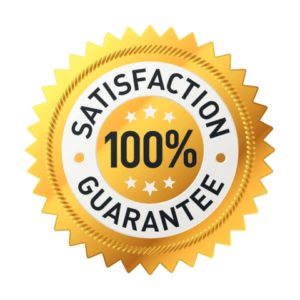 If it passes the inspection process, we will then send out your payment based on your type of payment request either via PayPal or certified check. If you choose PayPal as your accepted method of payment, you agree to be charged the current fees that PayPal charges for parties receiving payments. In the event that we may have technical difficulties with issuing payment with either of our payment options such as PayPal, we reserve the right to send you payment via alternative payment methods offered such as certified check. Payment concludes the termination of the sale between site user and CashiPhone. Your check has a 90 day cash/deposit period, if the check is not deposited/cashed within the 90 day period, it becomes VOIDED. If a new check is requested after the 90 day period, there will be a $35 fee to prepare and send a new check and the amount you will be paid for your device will be based upon the current prices on our site. If 180 days pass from the date we mailed you the check, you won't be eligable for a new check/payment. We inspect your device (iPhone, iPad, etc.) based on its stated condition when first placing your order. If it matches our criteria and your stated condition, it passes and you receive payment. If for any reason, the device fails to meet the conditions as you stated, we give you two options. The first option would be that we can offer you a second alternative offer based on the actual value of its condition after we inspect it and then mail you the payment, the second alternative offer will be based on the prices listed on our site the date of inspection and not the date the order was placed. Your second option would be to have the device returned to you which includes a cancellation fee of $24.95 per device. The cancellation fee covers shipping/handling fees to process your return. Please note that if the package is lost or damaged in the shipping process, you agree not to hold CashiPhone liable for such losses. If you would like to have insurance added, you may request to do so for an additional fee of $5. Second alternative offers or Order Cancelation require a time slot of 5 days of your response. If after 5 days, we do not hear from you or you do not send return shipping payment, we then treat the device based on our second alternative offer price and then send payment to you. If more than one device is sent out and some pass while others fail, we will pay you for the passed devices while the others will have the same above stated guidelines implemented upon them. CashiPhone has not reviewed all of the sites linked to its Internet web site and is not responsible for the contents of any such linked site. The inclusion of any link does not imply endorsement by CashiPhone of the site. Use of any such linked web site is at the user's own risk. By selling your iPhone on our site, you acknowledge that you are at least 18 years of age or older and are the authentic and legal owner of the iPhone you are selling. CashiPhone does not tolerate fraudulent activity on its site. CashiPhone does not get involved nor is liable in the purchase of illegal/stolen goods due to false or misleading information. If you provide false or misleading information, your information may be released to governmental agencies for further investigation and all sales that appear of fraudulent activity will be void. The materials appearing on CashiPhone's web site could include technical, typographical, or photographic errors. CashiPhone does not warrant that any of the materials on its web site are accurate, complete, or current. CashiPhone may make changes to the materials contained on its web site at any time without notice. CashiPhone does not, however, make any commitment to update the materials. Any claim relating to CashiPhone's web site shall be governed by the laws of the State of Florida without regard to its conflict of law provisions.